9.18.18 marked the 10th year of me stepping out on my own and taking control of how high I would go professionally. Yes in the middle of the economy crashing I made my exit from corporate America never to look back. Was it scary? Absolutely  Did I try to go back? Yes, and I got a call back. It was a divine appointment because the guy encouraged me to stay the course. I had what it would take along with great skills to match. Keep pushing towards your goals. Once you get there, there’s even more to accomplish. I appreciate your podcast today. This is my first time listening. I started my business with just a thought and a webpage in July 2017. I revamped my website in March of 2018. And got my first customer. It was a one time assignment. It has been at least 18 months and even though during that time I only had one paid customer. I believe once I have my website in place and my systems in place I know it will grow fast. I have had people in my family say get a job and give up on my business. Never give up on your dreams. That is my motto. Thought I would reach out. I always knew I was different then everyone else. I grew up with a learning disability. And as minor as it was I found myself always going against the crowd. Maybe that is what I am different. When people laugh at me. I just let the and smile. And just know that I must be doing something right. When the more people who oppose you and don’t want you to start a business like Virtual Assistant business. They fear that you will fail and they want to spare you the pain of failure. Can I be blunt? Failure is not fatal it is part of the learning curve. Albert Einstein failed at basic math and went on to create a bomb. Okay not the greatest example. But he had a learning disability but was super smart. I am sure he had some failed experiments before he created the finished product. I know there is a right time for everything. And worst case I can always change what I specialize in if my niche is not needed. I tend to get long winded and I am working on that. But I agree with you. People need to give a business time. 30 days is not enough time. You don’t hit your peak until about 2-5 years depending on the industry you are in. I can hear you being upset at people giving up but don’t stress on it. That is my encouragement to you. Maybe they lack self -confidence or have other issues to work out. My current website is being worked on but the link I have given you still works. I wanted to let you know I designed all the pages of it by myself. I had input from people. But I did all the design work and content. I learned as I went along and that is why it has taken me so long because I kept having to learn something in order to finish setting up features and pages on my website. So glad I chose to get a virtual assistant to help me redesign it and help fill in the gaps and proofread it. I think after spending so long working on my website I was getting frustrated and I could not look at objectively. I kept missing spelling and other errors. I am rambling on so I will stop soon. Wish you a fabulous weekend. Go have some fun and relax and don’t forget life is to short to fuss over the little stuff. 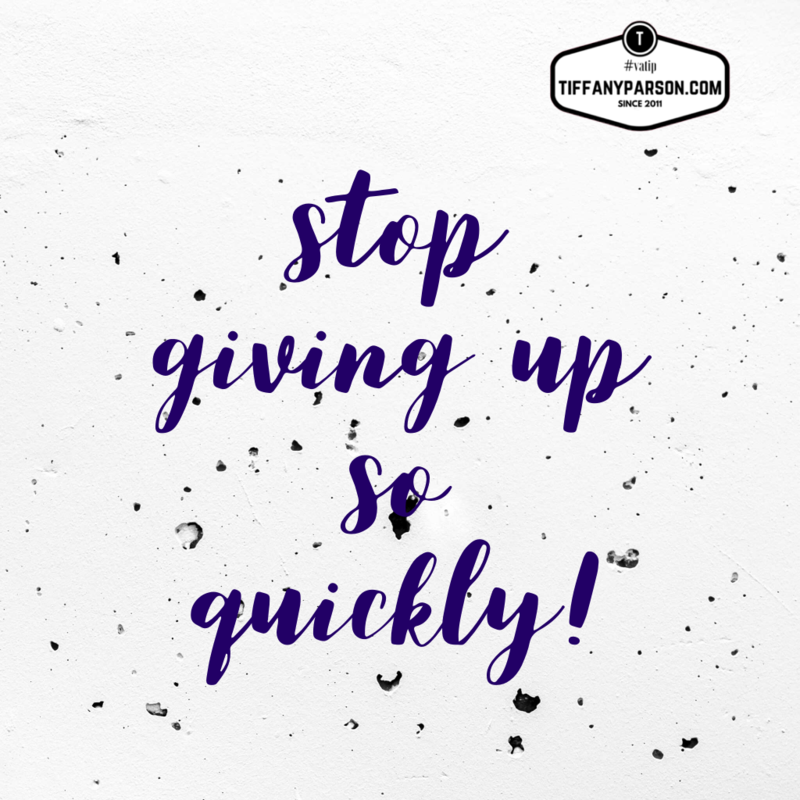 If people want to quit on something. Let them. I worked within a direct marketing business for 22 years. Towards the last two years I just got frustrated with the people I was working with. Still friends with them. This year I chose to took a break and I feel so much better about myself and a big relief too. Not having to deal with traveling out of town for weekend events 5 times a year. And I felt like I just was not growing personally. I felt stuck and just did not feel like the environment was more toxic for me then it was helpful. I spent 22 years before I finally decided to take a year off. Don’t know if I will go back to it or not. But I still have dreams and goals. Some are still the same and some have changed. One thing I have learned working with people and helping them reach their dreams and goals. You cannot change their minds once they make it up. You can promote events to them and make it sound enticing. However, I found that quitters are just dead weight. Your group only grows as fast as the weakest link. If the weakest link leaves the group then the group will grow faster. I have watched this take place so many times. It’s uncanny. Well, thought I would encourage and uplift you and remind you not worry about the people who quit and just let them go. When the quitters see you keep on succeeding and you show case other success stories. They will eventually come back. Keep on working in this industry. You seem like you know what you are doing and 10 years of success I say congrats are in order.